Expert Author Lisa A. Mason is in today’s Author Spotlight. 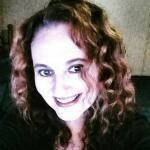 Lisa is a diverse freelance writer, editor and marketer with many years of experience. In addition to her extensive online credits she has also written for publications like American Fitness, Atlanta Business Magazine, and Manhattan’s Parentguide and published three books. What sets Lisa apart from many copywriters who specialize in SEO, is that she concentrates on the quality of the content she produces for her many clients. We asked Lisa to share her thoughts on writing, particularly for EzineArticles, and how article marketing has impacted her business. Lisa, we were attracted to you because you not only write on interesting topics, but actively participate in the EzineArticles.com blog with helpful comments. How have you found that participating in online discussions has helped your own article marketing campaign? It helps in multiple ways. For one, I can learn from other people who have “been there, done that”. It’s also helpful because people recognize my name and face (now with the new Gravatars) and they associate my brand with someone who is helpful, responsive and friendly. This makes people more likely to read my articles, follow my links, etc. You currently have over 700 active articles. That’s impressive! How do you decide what to write about? I am inspired by the world around me- literally. I write on gaming and parenting a lot because I am an avid gamer and owner of a game guide company. I write about parenting because I have four children of my own and I write about writing because that is both my hobby and my career. However, I don’t limit myself to those topics. I write eco-friendly articles because that interests me. I write about crafts and home decorating for the same reason. Sometimes I get an idea from a doctor’s office waiting room or from a question someone asks me on Twitter or even something I saw on the news. Literally anything that captures my interest for even a moment can become an article. What first attracted you to submitting to EzineArticles.com? I actually came into the game a bit late. I didn’t really think a writer needed an article marketing campaign. However, I saw the great results my clients were getting with EzineArticles and I thought, “I bet I could do the same!” What better way to show clients I know my stuff than to launch my own article marketing campaign and prove that it can work (and it has). What tools or services do you find the most beneficial? I love the user-friendliness of the author interface and my favorite tools are the website tools (author badges, widgets, etc), the auto-Tweeting and the author reports. I like to be able to see which articles are doing well, what keywords are bringing in the most traffic and the most click-thrus and other statistics. My traffic has increased a great deal since using EzineArticles. I get more requests for work and I’ve even made sales of my books because of traffic that came from EzineArticles. This is a skill that comes with much practice and being a professional, I have a head-up on other EzineArticles authors but it’s like I always tell people, anyone can learn to do it. Quality is important because when you have spelling and grammatical errors or other problems, your writing loses credibility. However, at the same time, you’re not trying for a Pulitzer with every article you submit. I try to keep my articles short and sweet- focused on one tight point that I want to make. (If there are multiple points, I write multiple articles) and I try to keep it engaging for the reader. This allows me to write more [articles] faster without losing quality. Any tips you have found particularly helpful since signing up with EzineArticles? Yes. I’ve learned that the less editing your articles require, the faster they will get through the system. It pays to read all the help tools and look over all the help videos provided by EzineArticles to make sure you’re not making common mistakes. Then when you do have a Problem article, learn from it and remember not to make the same mistake in the future. Has writing for EzineArticles helped you find clients for your copywriting business? Yes, actually. I get anywhere from 5-15 requests each week for new work who say they found me from EzineArticles. Not all of them pan out but in my line of work, that’s a great influx without me having to visit bid sites or hunt job boards. I have several regulars now who originally found me from my articles on EzineArticles and they continue to be great to work with and a great source of monthly income for me. What do you think is the most important thing about an article marketing campaign? It establishes you as an expert in your field. This is especially true in any Internet business. When someone can Google your name (or company name) and find hundreds or even thousands of articles by you, it shows them that you know your stuff. The fact that you care enough or took the time enough to write that many articles on your topic is a good start. It also builds trust as you are giving away useful information for free. The free advertising pays off but an article with a bio link is much more credible than a “buy now” ad on the side of someone’s website so the credibility is worth even more than the free traffic. Any tips to lend to other writers? Time management is very important. You need to snag every opportunity you can to get an article idea or a quick article out. If you don’t make time every day for writing something, you’ll be sitting there months (or even years) later with a bunch of ideas and nothing to show for it. Use article templates and other tools to help you write faster when you do have time to write. Look for article ideas all around you and don’t forget to write them down or record them instantly so you don’t lose them. Inspiration can come at any time (literally) so you have to snag it when it’s there. Success like Lisa’s is not reserved for only a few select members. It’s available to all of our members! EzineArticles membership is FREE, as are all of the tools and training materials. Take advantage of all we have to offer and you too can reap the benefits of added traffic, increased credibility and more sales! Great blog post. Agree totally that articles are a good way to position yourself (or your client) as an expert in your field. There’s so much good free info on the web, why not give back and position yourself at the same time? Thanks, Lisa. Being a newbee on EzineArticles.com I find Lisa’s interview very helpful and will reread it and look for her many articles. Even though I’m quite new I have already found that visits to my website has increased quite a bit and some of my books are being sold. Yay Lisa! You are a FANTASTIC inspiration! I always read your posts and respect your point of view. Love seeing you here in the Spotlight. Thank you Lisa for this helpful blog article. I am guilty of having many ideas for articles and not writing them down immediately. I have been challenged by your article to do that more often, as it is so easy to get busy and not remember the idea later. The reason for your success is evident in this blog. Thanks for this interview. It is one of the best engouragemnts I read. I’mimpatient to read and learn more from you. As one who aspires to writing regularly but is just getting started, I appreciate Lisas’ comments on how she gets inspiration. She is right. Everything around us and about our daily lives can become an article. I am finding that an article does not have to reflect your expertise but mostly your opinion or experience or observation. Way to go Lisa and thanks for the inspiration. Great interview! Thanks for introducing Lisa Mason to the greater EzineArticles community. Perhaps some people have a writing background before embarking on article marketing. However, Lisa’s advice will work for anyone who is motivated to make things work. Continued success, and we’ll look forward to future contributions. Thank you Lisa for your advice. Here is my area of weakness, perhaps you have some advice for this? I am inspiried frequently as well, and I write it down and embellish it with my ideas, even an outline of what to cover in the article. I think about it and wrote some more and once I have it figured out I am bored and stop. I don’t write the draft up or type it or submit. My long hand is hard to decipher and I don’t feel like writing it all out once the inspiration has left me, so hiring someone to type and enter it would not work. I could submit so often if I took it all the way, but I don’t as often as I begin. I have a non-fiction educational website I have been writing free articles for since 2001 with hundreds of pages, so it’s not that I’m afraid to write and post. Now I am starting a new website topic, my interst is high as can be. in spreading and sharing the good news, of how others can now get paid, doing something they already do for free – with skills such as yours, what was difficult, now becomes easy! Simple words, yet laden with wisdom. I also enjoyed the interview. Thanks for the tip on using an article template. I didn’t think of that one and it should definitely make things a little easier. Thanks for the great tips – these are very helpful to someone like me who just recently joined the EzineArticles arena. I look forward to reading more about your success and your articles. one question:how can you use E.Articles for your campaigns…..if they don’t want to find a link to a product in your resource box? It is good the you have recognized Lisa, I have been a subscriber to her articles and enjoy reading many of them that interest me. I really like her style. Great Job Lisa! Congrats on your success! Nice Interview! Really many many thanks for sharing it and thanks for sharing all these useful tips. It’s a great help for new article writer as me. Great job Lisa – It is so helpful to write about what you are passionate about and have information to share that would be helpful to others. Great interview. I’ve had similar results to Lisa. In my own copywriting practice, I’ve learned that a few articles prime the pump: the work comes flooding in. There’s a downside however: if I write too many copywriting-related articles for example, I need to turn work away. This is a nice problem to have, but I hate disappointing people. EzineArticles works: it’s the fastest, cheapest (and in many ways) the easiest way to market. Big bonus for writers: you retain the rights to your articles, so you can re-purpose them in any way you wish. I really enjoyed the interview and the frank and helpful answers to questions. While I write blogs and use ideas from everywhere I can, I had not used to same system for writing articles. This reminder has given me many more fresh ideas while I wait for my first publication. Thanks again for the inspiration. Very helpful interview. All points were good, but the take away for me was her response about how she chooses the subject matter. “Literally anything that captures my interest for even a moment can become an article.” It will help me think outside of my current areas of article writing. Thanks for sharing your views Lisa. Timely reminder for me and it made quite a few things go off in my head! Lisa? YOU R a STAR!! Thanks for all the information. As a new writer I appreciate all the tips I can get. I read your article on publishing 40 articles in a day. That is very impressive! Even if I work hard I can only get a few done each day. Thanks so much for your ideas about how to make a success of article writing. I had not thought of using an article writing template before. Thank you for the pointer! Great tips on balancing quantity with quality and on being diverse in your writing. I think sometimes we get stuck on one subject and we limit ourselves. I also liked the ideas on being ready to grab inspiration when it comes. Too often we lose an idea because we don’t write it down when we think of it, then we forget it. I’m new to EzineArticles, and excited about the possibilities. I’d like to know more about article templates. This sounds promising. Thank you very much for the link. Your syllabus looks very interesting. I’ve written a lot of articles and a couple of e-books on that very topic. I appreciate your reference. Can you explain your question a bit more for me? Do you mean if people don’t want to click on your links? Common problem you have there but the good news is you are able to recognize it. You seem to have the opposite problem of many writers I talk to who spend too much time on their computers. It’s great to be able to type things right up but sometimes they need to use old-fashioned pen and paper to really clear their minds. You may just need to simplify more. Get right on the keyboard (when you can) when the inspiration strikes you and just start typing your article. Brainstorm right onto the screen (you can always edit it later). This way you’ve jumped a few steps and it should be easier to stay motivated to follow through. Another suggestion might be that you are thinking too broad with your articles (have so much to say you just can’t seem to cram it all in there). This gets overwhelming and makes you lose interest. Try narrowing it down to one focused idea and carry them out one at a time. E-hugs to you as always! I have more articles coming to EzineArticles that will show samples of templates just like this so maybe that will be helpful to some of you. I would look for them over the next week. They’ve been quick about the acceptance/publish process. Thank you all for reading and you’re great comments! Whenever someone writes me or submits a question through my website, I answer it in an article, submit it to EzineArticles.com and respond with the link to the article. Then, if people ask the same article in the future, I have the answer published already. Gotta make every word count! EZA seems to be all about article marketing for your products. But my product is my own writing. I don’t have a website, but only 2 blogs. How can I use EzineArticles to market my talent? Where would people land, if interested in hiring my services? Will be glad if you can answer this. I didn’t have products either, only my services. Now I do have some books/ebooks but most of my articles just point to my writer’s website and not to direct links for my books. Do you blogs advertise your writing services? Are your blogs in different niches? Point your articles to your blogs but try to make sure the articles are relevant to the niche of the blog. I would advise on writing some articles about the specific services you can provide. If you don’t have a website for yourself yet, you can start with a free one until you are able to purchase your own domain. Everyone’s gotta start somewhere! Thank you Lisa. Your interview was very inspiring. I will certainly carry always a notebook with me to write down my ideas and try to allot enough time to article writing. I’ve been very lazy lately. Thank you Lisa for your generosity in giving so much helpful information to encourage us newcomers to Ezine. I’ve submitted my first article and am waiting to see if it’s accepted. I love writing and sharing the stuff I learn from life and my professional experience. Thank you for being an inspiring role model. What a great article! It shows that even the highly experienced have the chances to learn more. While reading you article I went to have a very very big idea. You know how you go to send an email to my friend on some exciting idea or some useful information? I do this up to and including SEVERAL times in a day!! Well you can take one of (or more then one if you want to) of these great ideas/info that you share with your friend(s) and make it so it will be a ezine article. After I had this thought by myself you seem to say the exact same thing when you say to write em down the minute you get an idea to write about. I think that’s an incredible idea I/we had. PLUS by writing on the initial inspiration you get in the day you will have an opportunity to develop the inspiration even further. Which is even better. Oh and I do like the idea of writing them down because you will forget except every time I carry a pen they always explode in my pant pocket and turn everything blue. I know you’ve had that happen how do you deal with that? I’m a man so I can’t put them in my purse. Oh and they (pens) also puncture holes in my pockets too which is always extremely annoying. So if you say get a push button pen as a solution to the first problem then you still have the holes problem?? As for your pen problem, there are maybe a couple of possible solutions. 1. Have you ever looked for small sized cap pens? They make some that are quite small and less likely to break or leak in your pocket. They also make some that can attach to a belt loop which is another idea. 2. Try using a digital recording device of some type instead. You can just speak into it to save your ideas for later. 3. Depending on what type of daily routine you have, you can keep the pen and paper nearby and move to it when you need it. For example, I work at home so it’s easy for me to just run to my desk and jot something down. This would be difficult for say, a construction worker. Keeping pen and paper in key places such as your desk, car, kitchen or other places you might walk by regularly can be an alternative to actually keeping it in your pocket. You just have to find something that works with your individual schedule and needs. Sometimes you have to try several different things but once you find that one that works for you, it’s likely you’ll keep it for years. Good advice Lisa, that’s what I do. Thanks for taking the time for this interview! You make great, simple points and your words are encouraging to me, a newbie to the Ezine Article World! Most ‘comforting’ to me? Your suggestion to keep things short and sweet . . . and if I have multiple points to make, turn them into multiple articles (rather than one gigantic ‘thesis’, as I’d be more prone to writing). I really like the comment about keeping articles to a single point. It’s given me ideas now on multiple articles I could write. Thank you. Thanks Lisa for sharing your expertise! There’s always some important ‘light bulb’ moments when we have the opportunity to experience the experience of experience. Templates are the way to go … also finding the EzineArticles Twitter auto submit and keyword tools very useful. Woah! That one is solid gold. Talk about leveraging your time. Ditto to Martin. From my Google stats, I have found that the articles I have written and posted to my website are also being used by people who don’t contact me. About 2002, I posted an article about the difference between Save and Save As for my computer literacy students. That page is still one of the most popular on my website. And, would you believe it, I still have students in my web development classes who ask about it! ‘writing a pulitzer’!….I do have a habit of wanting to get my writing ‘just right’, so finding a balance is a great point for me. I think the main key here is “Motivation”, without it you’re not going anywhere. Also, I like the fact that Lisa pointed out “Time Management: If you don’t make time every day for writing something, you’ll be sitting there months (or even years) later with a bunch of ideas and nothing to show for it.” A lot of people do procrastinate, trust me. Really Great interview, thanks for sharing! Thanks for allowing us to interview you and for investing the time you gave to this thread. One of our ongoing goals is to help our members help each other [to get faster support and different insights/perspectives when problem solving] and you…along with many other members here have done an excellent job of helping each other out. You are very welcome, Chris. I appreciate the interview and it’s been great meeting new people in the community and being able to help others out while also hearing their ideas and perspectives. What great advice. Thanks so much. Sometimes I feel restricted as my first choice of topic is either metaphysical, healing or spiritual in nature. But you opened my eyes and thoughts. As a newbie to EzineArticles.com, I found your interview with Lisa Mason super informative, particularly the suggestion to use Article Templates. Using templates had not occurred to me before. Thanks for the helpful information. Thank you everyone for your most recent comments. I appreciate everyone who read and those who took the time to comment. THANK YOU Lisa ~ you have been most generous!! Great stuff Lisa! You are an inspiration. I want to be able to touch that same level…I am running out of idea s for articles though…but I just came across an article which tell you how to generate article ideas in less than 2 minutes. hope that helps. Oh Lisa.. you CUTIE!! Yeah.. I have been swamped with other things lately. I am taking a play writing class though and so of course am back into writing mode. Great information Lisa! I associate your name with Ezines! Thats how much I value your words. Ohh yes, Lisa is amazing. Thanks for this article. It teaches us what to write and how to write. Thanks Don, happy you stopped by! Oh how cool is this? One year later. The time flies! I’m still loving EzineArticles just as much (maybe more). Thanks for the interview. I can’t wait to learn from you. You are a great inspiration for me. I read your posts and assume your point of view. Good to see you in Spotlight. Thank you John Paul and thanks for reading! Very useful!Great stuff Lisa! You are an inspiration. I want to be able to touch that same level…I am running out of idea s for articles though…but I just came across an article which tell you how to generate article ideas in less than 2 minutes. hope that helps.